I like plans. I like to know what’s going on. Being spontaneous is something I have to plan. I work an eight-hour day Monday through Friday but in the summer I work four ten-hour days and have Mondays off. Those three-day weekends are great! Mr. Aitch is semi-retired. He plays in one community band in the summer and a different one during the school year. He also has a part-time job and works two days a week. Plus he is the choir director at his church. For him to have a weekend off is rare. Very rare. Two weekends ago Mr. Aitch had a three-day weekend that coincided with mine. We didn’t have a lot of time to plan a get-away so we thought about some places we wanted to go that weren’t too far from home and that we could manage in three days. On the Harley. I spent several hours on the Friday planning our trip only to discover at 11:00 Friday night that the one thing we wanted to do and see was sold out. No tickets were available for two weeks. Bummer. “How about Gettysburg?” I hadn’t been to Gettysburg since I was a kid and though we toured the battlefields in the car, we didn’t have a tour guide to point out interesting details but I wanted to go back and learn more about it as an adult. In fifteen minutes we had a plan and room reservations for Saturday and Sunday nights. Saturday morning we packed the Harley for the extended weekend and took off. Cheese, crackers, and of course, a bottle of wine. Gettysburg is only two hours from our house so it was a short enough ride that we could still do some things on Saturday. It was a beautiful day. 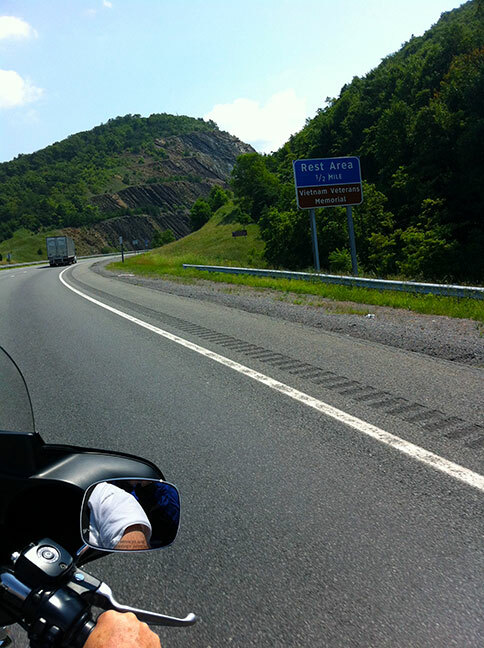 As we approached Gettysburg we saw more and more motorcycles. 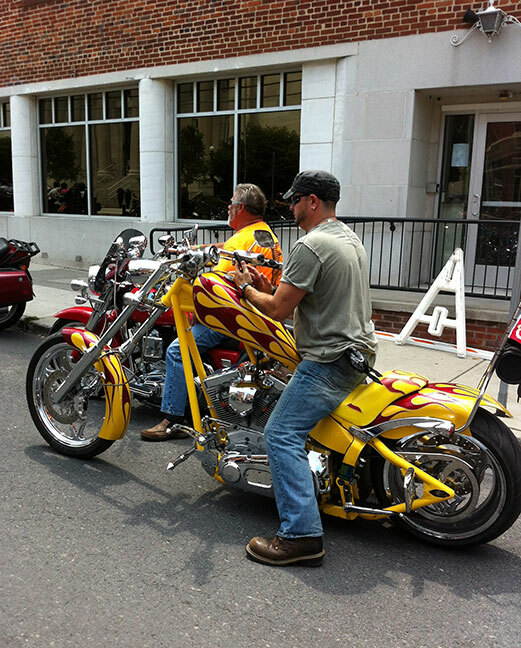 Groups of motorcycles. 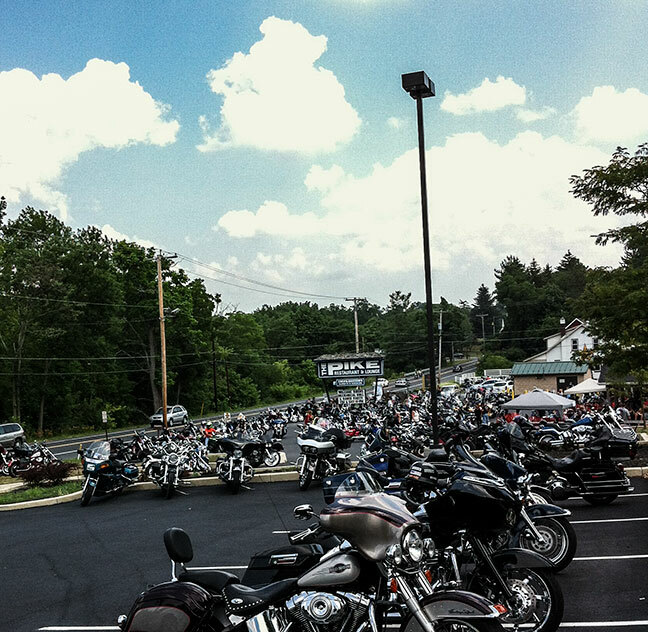 The restaurant parking lot next to our hotel was packed with motorcycles. Our room wasn’t ready so we asked where we could get a bite to eat. The receptionist suggested the restaurant next door. Mr. Aitch said that it looked a bit crowded and a little rough. She looked at us a bit strange and said there were more places in town. I don’t know if you are familiar with Gettysburg but it is a small town. Hundreds of motorcycles were everywhere. While we waited for our food, I decided to find out what was going on. 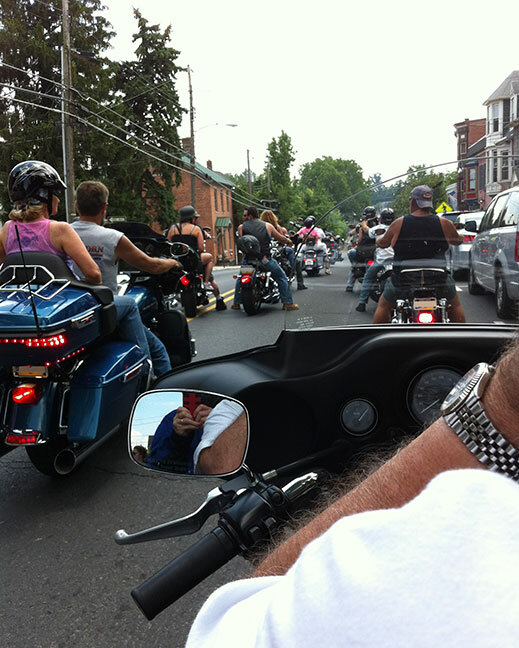 In my fifteen minutes of spontaneity in planning our weekend I did not stumble upon it being Bike Week in Gettysburg. No wonder the receptionist thought we were a bit nuts when we looked for a quieter place to eat. 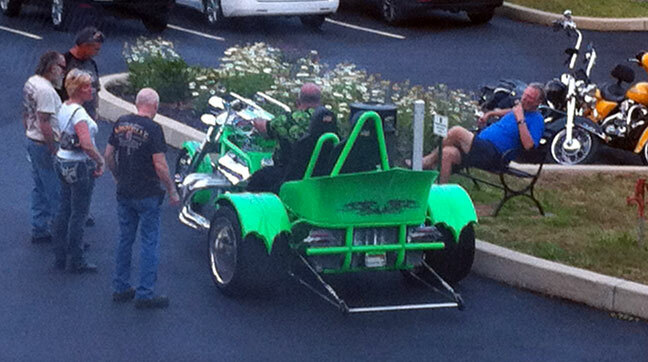 We did explain later that we were unaware that it was Bike Week when we booked our room. Most of the activities were held at a campground and I can only assume that most of the bikers were camping otherwise we wouldn’t have gotten a room. We heard lots of stories from the bikers. And saw lots of bikes. 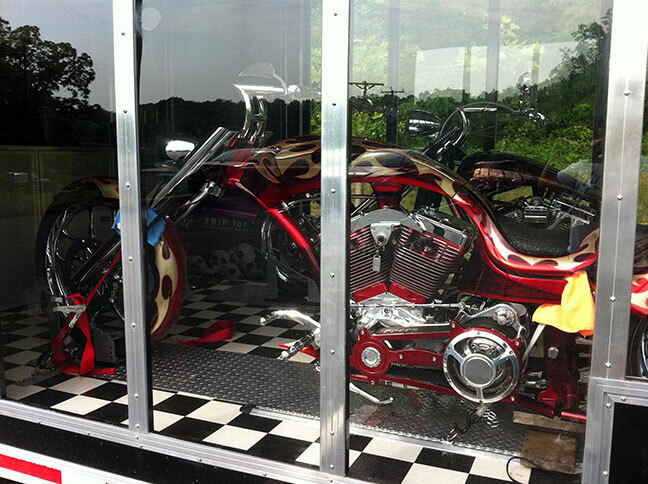 Custom paint jobs that cost as much as or more than the bike itself. 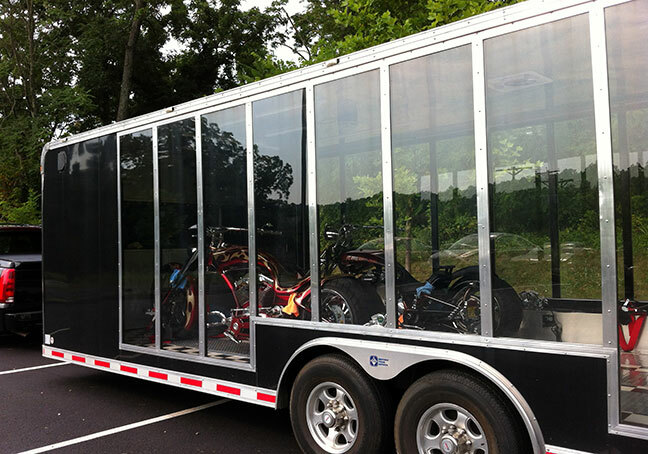 Bikes pulled on custom see-though trailers. Saturday was full of eye candy. Sunday was more sobering as we toured the battlefields. More about that tomorrow. 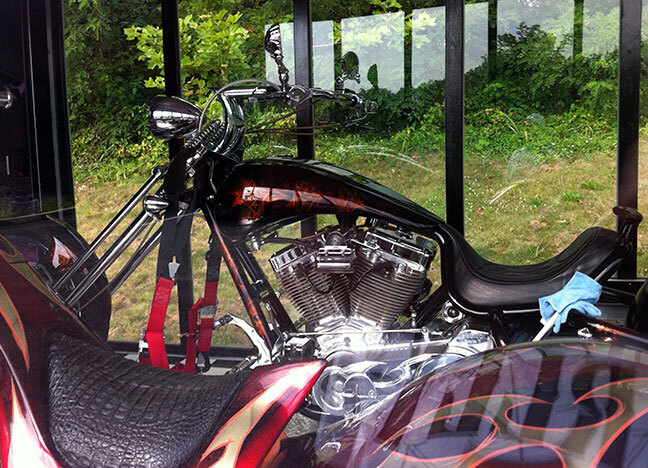 This entry was posted in motorcycle, vacation and tagged Gettysburg, motorcycle, vacation by Patti_is_knittinginflashes. Bookmark the permalink. 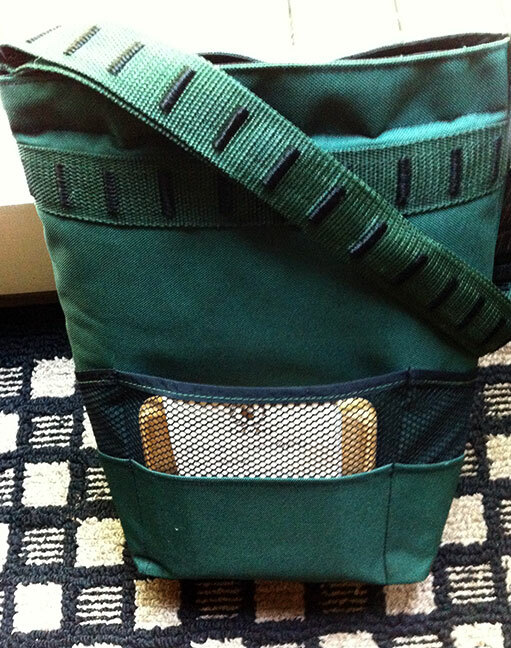 I am a knitter and I just finished making a felted iPad case following your ideas. It is still drying, but I love it! It was so fun to do too! 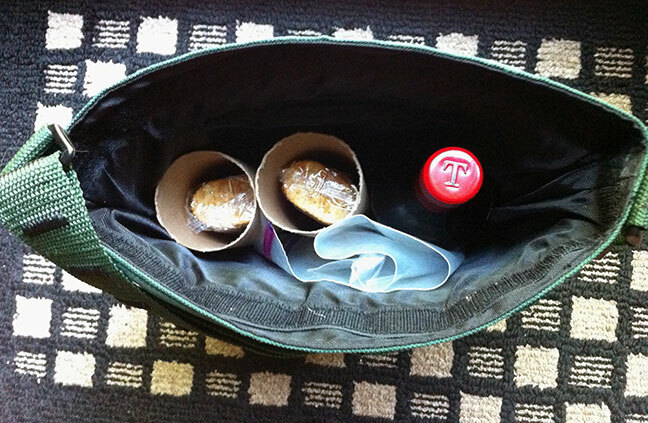 I’ll send a photo of the finished product when it thoroughly drys – thanks for the great idea!! The boys and I loved this post. We have to keep going back to look at the pictures of the bikes! I had so many more pics but didn’t have time to crop and blur out license plates. We formulated most of our plan Saturday morning on our way thanks to you and your suggestions. 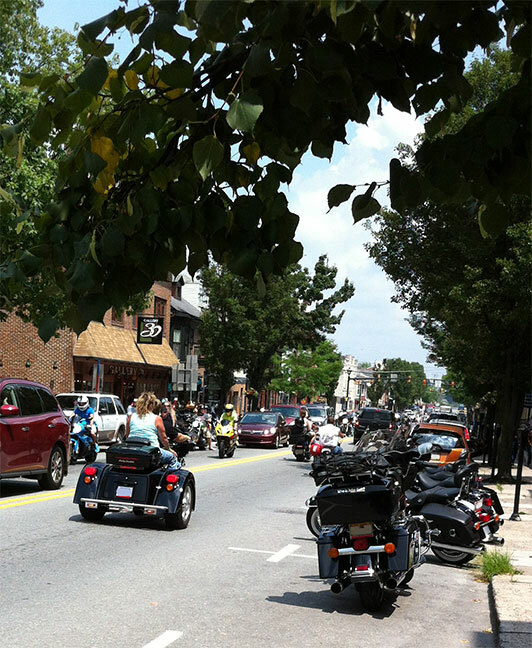 Bikers, and bike week(s), get a bad rap. I know lots of bikers and all of them nice and very educated (like doctors and lawyers). On the other hand, I had a friend in Daytona who left town during bike week. If it weren’t for the cigarette smoke, I’d like to go to one just for the experience. …..and interestingly enough, my husband’s and my first out-of-town B&B experience was in Gettysburg. We had a WONDERFUL time, and yes – it’s a small town, but very friendly and with much to see and do (if you like Civil War history! ).